The innovative small series mould K3600/… has been coordinated exclusively by HASCO to the new Clever Mold System CMS from B&R and developed for the cost-effective production of practical small production runs. K3600/… allows users to change the mould quickly and efficiently on all conventional injection moulding systems equipped with the respective clamping system. In the CMS it has been possible to integrate many standard components of a conventional injection moulding tool into the clamping device. 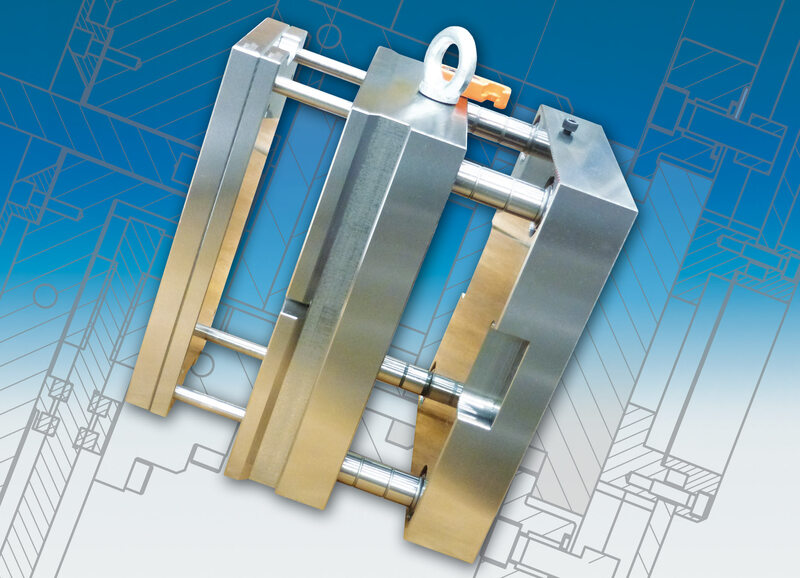 This offers far more possibilities than a traditional quick-clamping system, for example a fully functional area of the selected mould size, no restriction through inserts and no reduced ejector assembly areas. The small series mould K3600/… offered exclusive by HASCO is a “clever standard product package” consisting of mould plates, ejector assembly and all associated components. It offers a perfect supplement to the CMS. The standard plates are available in the materials 1.2767 and Toolox 33. The four available conventional mould sizes are compatible with the K range. An average mould change on a medium-sized conventional injection moulding tool with conventional clamping using a clamp and screws takes approximately 30 minutes. Through the use of the Clever Mold System with the small series mould K3600/…, the setup times can be reduced to 10.5 minutes and the mould costs lowered significantly. More than 250 such injection moulding tools are already being successfully used in permanent operation.